IBC 2012 opens its doors at the RAI in Amsterdam this week and we have produced several resources that provide essential reading whether you are attending or not. 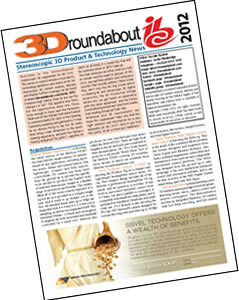 Firstly, the '3Droundabout IBC 2012 supplement' is now available as a PDF download and online as a digital book, and will also be distributed in print at the show. This provides a quick reference to all things stereoscopic 3D at IBC 2012 including exhibitor news, conference sessions and special events. 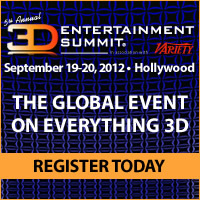 Secondly, our dedicated '3D @ IBC 2012 Spotlight' already offers the most comprehensive coverage of stereoscopic 3D products and technologies available at the event, and this will be further added to - so check back often. Other downloads available at the '3D @ IBC 2012 Spotlight' page include our latest list of exhibitors showing 3D products - sorted alphabetically, as well as by hall and stand number - great for planning your trip. If you are attending, we look forward to meeting you - come and visit us at stand 17 in media alley (between Halls 8 & 10).